Raashi Khanna to look Very Hot in Supreme. 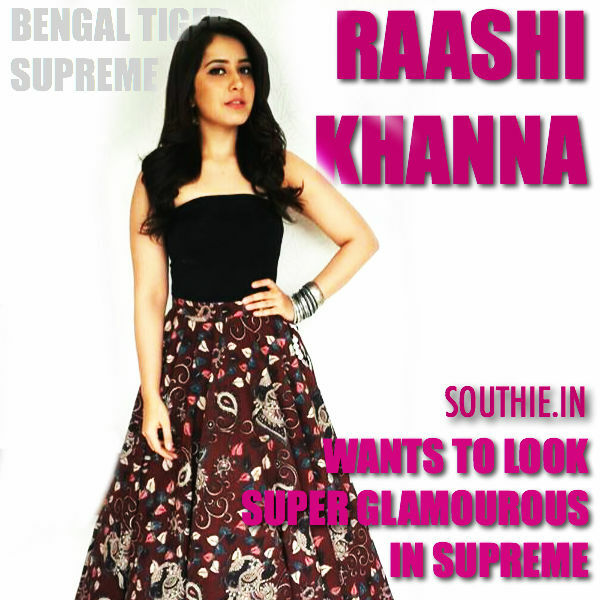 Home/NEWS/Raashi Khanna to look Very Hot in Supreme. Raashi Khanna to look Very Hot in Supreme. Raashi Khanna has discovered her new glamourous side in Bengal tiger. All those who have seen Raashi Khanna off late, seem to have noticed that she has lost weight and is looking ravishing. Raashi is currently promoting her latest film Bengal Tiger and is impressing everyone with her designer outfits and new look. When asked about this, Raashi says that she is working out under the guidance of a trainer and is loosing that extra fat to look fit and confident. She says her look will help her give a new and more glamourous look for her upcoming films as well. Raashi will be playing a super hot cop in Sai Dharam Tej’s Supreme which is currently under production.